Mark, what do you suppose I might find causing it not to work? I've actually never had a manual oiler not work. I'm thinking it.must he the check valve not working. It's possible that your check valve is gummed up with old oil that gets almost like gel.That's why I think some type of penetrant in there to help dissolve that crud. Could I get a copy if anyone has it? Ray,I think you might've sent thisd to me by mistake.I don't have a PM3850 I didn't even know that Mac made a PM3850). Mac 10-10 SDC carburetor rebuild. The IPL shows two diagrams a check valve and a fuel pump. I've never rebuilt one that called for two. When I rebuilt it I placed both in because the IPL called for it but I'm having some problems getting it started so I'm second guessing my work. My question is do both go in? Most SDC do have the check valve diaphragm in them. Attached is a list of SDC carbs (I think a few are missing). Find your carb model number on the list and look to see if #25 check valve diaphragm is listed or if there's just a dash in there. If there's a dash instead of a part number the check valve diaphragm is not needed. Thanks, don't know how the heck I did that. Tim,I've looked over the SDC that I rebuilt yesterday from top to bottom & I can't find the model # anywhere.That carb had the two pump diaphragms in it when I took it apart,so that's the way it went back together.It won't do much good to put it back on the saw just yet,I need a new fuel,I should get it by the end of the week. Normally I ignore McCinderblocks but this one caught my attention. It ready for its first chain sharpening. And new rubber goods in the carb. Darn Zama! rocketnorton, ThistleIA and ray benson like this. 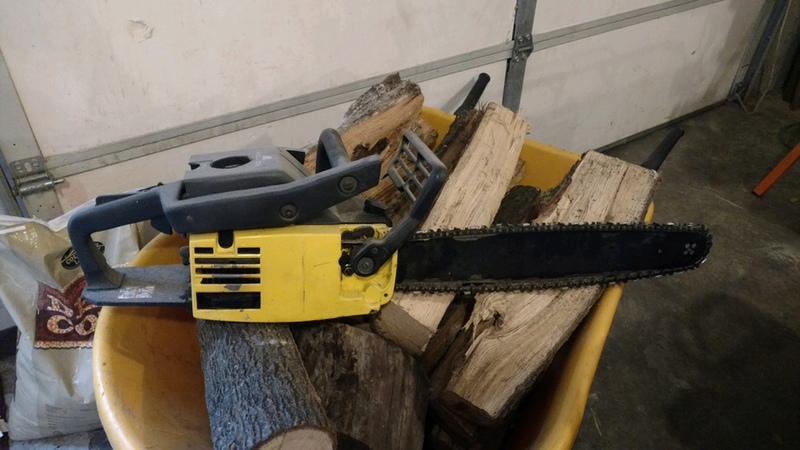 I ignore the husqcolochs. But would jump at an older one. This cylinder seems to have a fix on the clutch side. There is the much love JB Weld goop with a plate. Looking inside I'm not seeing any cracks. So...is this a fix or a reinforcement? This cylinder is about to be sent out to be bored out and want to make sure it isn't junk. Whatever it is,it scares the hell out of me.Did the saw run with this "fix/reinforcement"?I've hearr that JB Weld is some pretty tough stuff. came to me in a large Tupperware container in pieces. never heard it run. Did anyone watch Pawnstars tonight? They toured Ronald Reagan's ranch. At one point they toured his garage/shop. You can see on the shelf 4 McCulloch chainsaws. Jethro 2t sniffer and ThistleIA like this. What did he have? I started hunting and found this you boys will have seen it before no doubt. Brian Thacker, Aaron Rybicki, rocketnorton and 2 others like this. 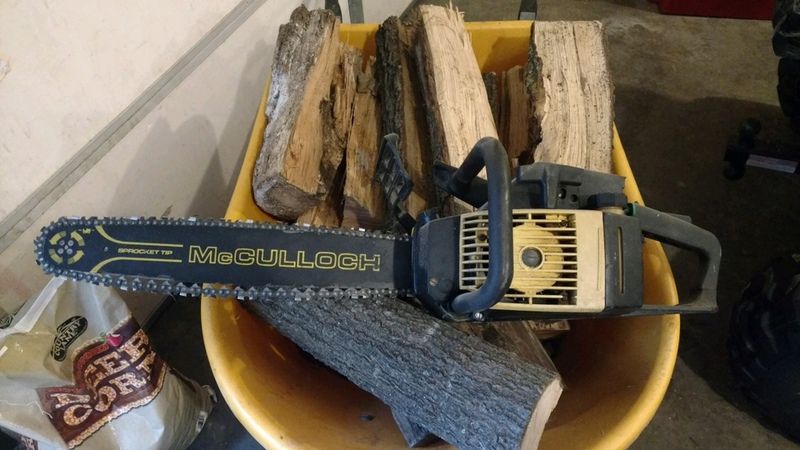 Yeah,that really surprised meAND the fact that he had a McCulloch chainsaw,a saw of the average everyday working man. He could have had one of the SS guys sharpen his chain.